I’m thinking I love my Accuquilt GO! Nice! I can’t wait to see a few blocks sewn up. 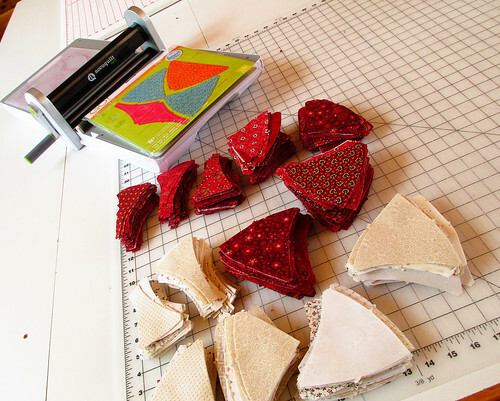 I saw your note on the AccucutQuilters list and had to pop over to see your progress. Your quilt is going to be wonderful! 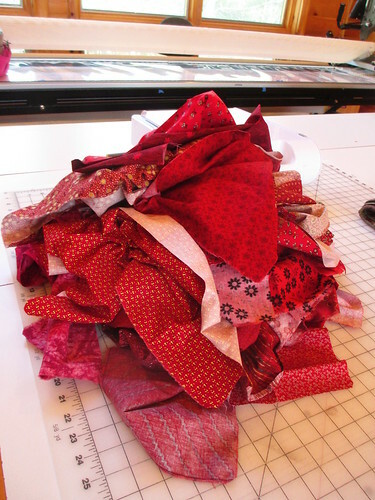 I also got the die after seeing the article in American Patchwork & Quilting. 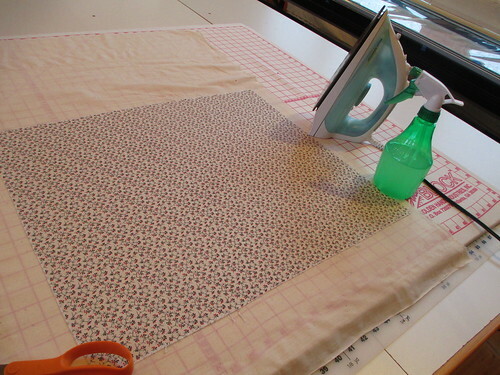 I am going to make mine in brights, so it will be many colors, not a two color quilt. I love your piles of perfect parts, all ready to go! I have good intentions of continuing updates about this quilt on my blog. Come back to check for new posts or even better, subscribe to my blog. I will look for pictures of your progress at the Yahoo Group. This quilt is on my New Year’s to-do list. Can you please share more with us about the die-cutting process: Did you cut the FQs into pieces before running them through the GO? How many layers of fabric did you use at a time? Did you put the red and neutral fabs through together, or separately? Thanks! 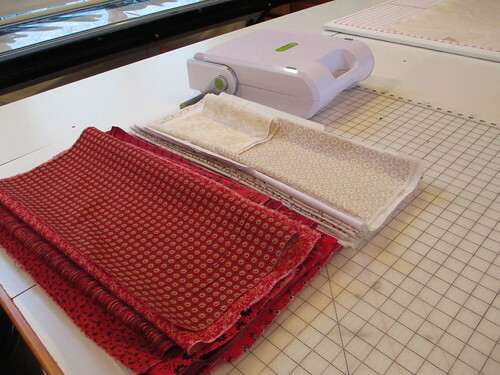 I cut each fat quarter into four pieces, approximately 10″ x 9″. These were perfect for running through the Accuquilt GO! I tried using six layers as Accuquilt claims is possible. However, the cranking was awfully difficult with that many layers. Perhaps the starch contributed to this problem. In any event, I found four layers worked just fine. I cut all the reds and then all the neutrals. 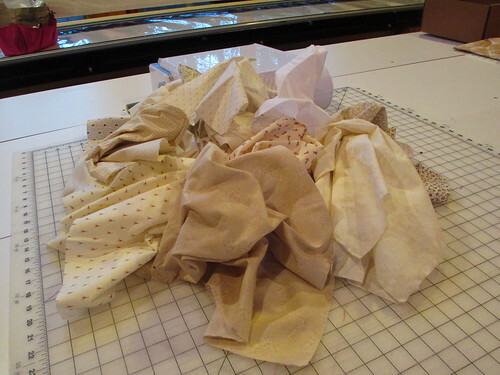 I like to hand pick my fabric combinations for each block… at least I do so far!